The term ‘cart lodge’ is over used, this is not for storing vehicles, more of a lake house / office space. 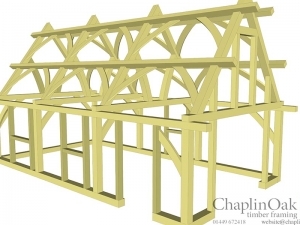 Should be making a start on this cart lodge frame in the new year. 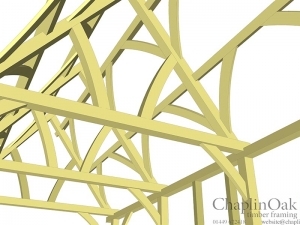 This amazing double purlin roof is adorned with matching curved braces to each of the trusses. 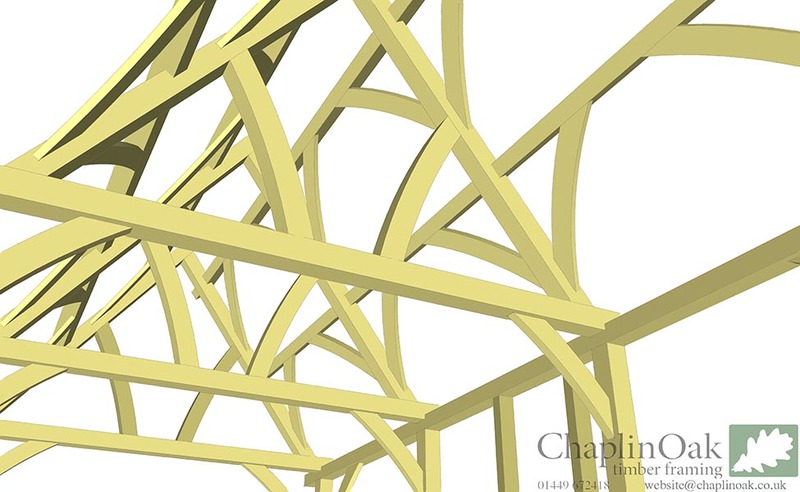 The vaulted roof features curved queen struts. 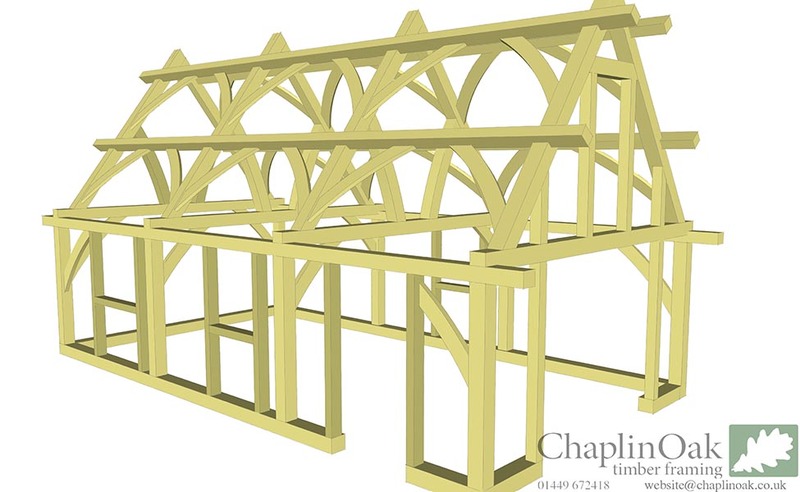 The gable to the right will be completely glazed and the roof will eventually be thatched and walls finished with cutting edge eco-tech materials.